After first being revealed back in December of last year, Corsair has finally released its long awaited PC gaming peripherals. 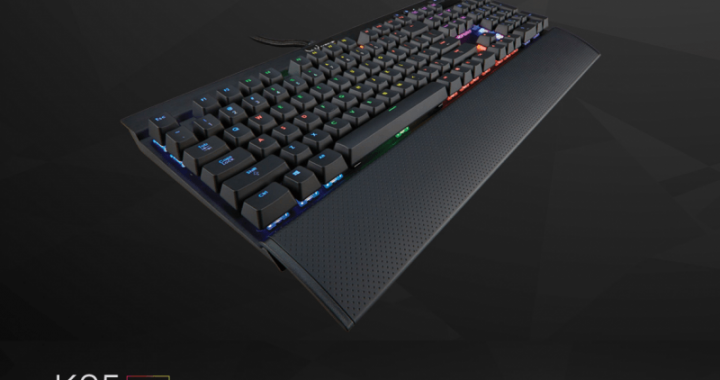 The company’s newly formed gaming division has now released the RGB version of its K-series keyboards along with the M65 mouse and two new headsets. The keyboard lineup includes the K95 RGB, K70 RGB and K65 RGB at $189.99, $169.99 and $149.99 respectively. The K series keyboards feature Cherry MX RGB switches as well as the backlight technology found on the previous generation models. This time around users will have 16.8 million colors to choose from for customizing various sections of the keyboard among other things. The $69.99 M65 RGB mouse, which comes in black or white, also features the same backlighting across 3 programmable zones, an 8,200 DPI laser sensor, a dedicated “sniper button”, and long lasting Omron switches.